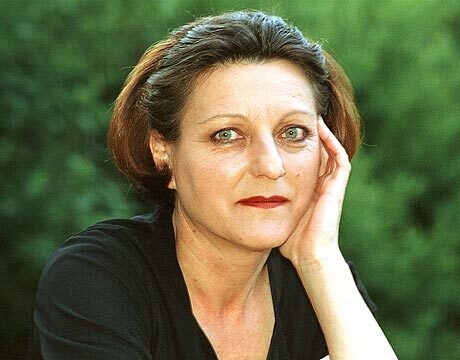 The writer Herta Müller, the 2009 Nobel laureate for literature, will be present in Bucharest on September 27 and 28, when Humanitas launches an author’s series dedicated to her, as part of a vast campaign marking 20 years since the founding of the publishing house. The announcement was made on Saturday, at Bookfest, during the launch of Herta Müller’s book, “Leaganul respiratiei” [Everything I Possess I Carry With Me], by Denisa Comanescu, the director of Humanitas Fiction. During her visit to Romania, the Nobel laureate will offer a conference, a public lecture, as well as engage in a dialogue with Gabriel Liiceanu, at the Romanian Athenaeum in the capital. Moreover, on September 28, the writer will launch the book “Calatorie intr-un picior” [Travelling on One Leg] and will attend an autographing session. Both the book launched on Saturday at Bookfest, “Leaganul respiratiei”, as well as the one to be launched in September, are included in the new Humanitas Herta Müller author’s series, which will also include “Omul e un mare fazan pe lume” [The Passport]. The book “Leaganul respiratiei”, launched at Bookfest, was presented by the writer Rodica Binder, the literary agent Simona Kessler, Alexandru Sahighian, the translator of the book, and the writer Mircea Cartarescu. Cartarescu spoke to the public at the launch about his meetings with the writer, her spiritual and moral uprightness, as well as the poetic imaginary in Herta Müller’s works. The latter “is one of those figures in Greek myth, woman and moral authority at the same time,” the writer claimed. He also underlined that Müller’s writings are poetic in substance, to a smaller or a larger extent, insofar as poetry is not to be understood as “the decorations on a box of chocolates”, but as a vision of life. In her turn, Rodica Binder spoke of the fact that, by her work, Müller created an opening for a topic that hadn’t been addressed before, namely, the sending of Germans in Romania in the Soviet Union work camps. Moreover, she underlined that Herta Müller’s writings, as is the case with the work of all great writers, has the capacity to alter the reader’s perception of life. Herta Müller was born on August 17, 1953, at Nitchidorf, near Timisoara. Since moving to Germany, Müller has been bestowed numberless important, German and international, distinctions. These include the Ricarda Huch Award (1987), the Kleist (1994) and the Joseph Breitbach award (2003), the Aristeion European award (1995) and the IMPAC Dublin Literary Award (1998). Since 1999, she has been three times shortlisted, representing Germany, for the Nobel for literature. Humanitas will organize events dedicated to its 20 years’ anniversary throughout 2010.